Feel confident in the GB ML suuma? was going to come back a couple hours later and put some down on the ML +270 then it dropped to +260 when I came back.. so I might as well get it before it dropped some more. thanks for the info. Agree with your analysis. I believe Green Bay's offensive line is getting overlooked by almost everyone when in fact this has been the reason for the Packer's success this season. The Bills only got 1 sack on aaron Rodgers and that defense led the league in sacks!! I'm sure limpy Rodgers can adjust to the pressure if it gets to him. If the play is not there, Rodgers will be throwing it out of bounds.. not heave it up in the air like Cam did and have Seattle run it in for a pick six. Hope you're right! 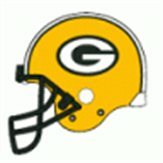 A couple of things overlooked from the week one meeting were Packers RT Bulaga was replaced early 2nd Quarter because of injury and didn't return. Their offense was never the same, Sherrod the backup who was cut 2-3 months ago gave up 2 quick sacks one resulting in a safety. GB was moving the ball decently until Bulaga went down. Also, GB debuted a new hybrid defensive scheme week one that was a disaster, they junked it after like 4 games; they're much better now with Clay in the middle at times. I saw somebody say that Rodgers played well against New Orleans "with a hammy." But unless my memory fails me, he didn't hurt it until the 4th quarter of that game. So that statement is misleading. Having said that, I do like your read on this game. You make some solid points. Get that $$& summa. Cheers on GB! Thanks for all the comments and the great football talk! Love the play buddy. My biggest wager in awhile. Impressive season ! Goals are a must have but cold hard reality is the fact that if you have more money at the end of the season than when it started you had fun and are a WINNER ! Rodgers could eat a sandwich in the pocket before making a throw. I went pretty big on a NE/GB tease/ and a 3U play on NE and NE/ov tease. Good calls, too bad I switched to IND last min. Lets get them in the SB now. btw, you going to jump over to the NBA this year?